The genius of the Irish for offering unique hospitality is the underlying imprimatur of John and Sally McKenna’s annual guide to the 100 Best Places to Stay in Ireland. 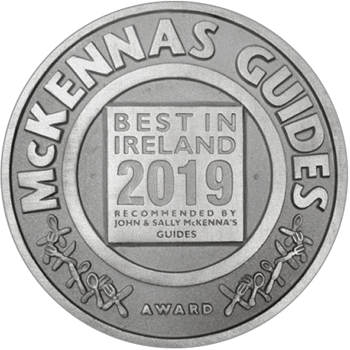 The McKenna’s don’t care if the address is a castle or a wooden hut, because they know that what counts is not some idea of grandeur or comfort, but the ability of the hosts to charm, captivate and create a unique experience for their guest. Since its first appearance in 1992, the 100 Best Places to Stay in Ireland has defined the summit of Irish hospitality, celebrating the very best hosts and their unique houses. To find the magic of Irish hospitality, you must travel with the 100 Best Places to Stay in Ireland. Lancaster Quay, Western Road, Cork, County Cork. 90 Pembroke Road, Ballsbridge, Dublin 4. Inis Meain, Aran Islands, County Galway. 164 College Road, Galway, County Galway. Clifden, Connemara, Galway, Co Galway. Fergus O’Halloran, Barna Village, County Galway. 26 Patrick Street, Kilkenny. County Kilkenny. 1 Pery Square, The Georgian Quarter, Limerick City, County Limerick. Dublin Road, Longford, County Longford. The Still, Enniscorthy, County Wexford.